I can't imagine better place to stay. It's clean, comfortable, kitchen is well equiped, location is perfect to visit National park Durmitor. We got maps, free drinks and very good restaurant recommendation. Highly recommend! Very friendly host, Boris, was very accommodating with everything, and even assisted us in organising rafting. 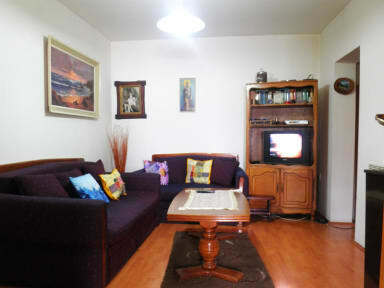 Apartment was clean and spacious with well equipped kitchen. All in all everything was great! Great place to stay,clean and comfortable apartment centrally located with well equipped kitchen so we could prepare our meals. Host was very helpful and friendly, he booked amazing rafting for us.Recommend! We had a lovely stay at this hostel. Our host was very friendly and hospitable, and even offered to drive us around the region for some sightseeing. We immediately felt right at home here. Definitly worth the money, and Durmitor and Tara River sure are a sight to behold. We had the house to ourselves for 2 of us which was great, but can imagine if all the beds were full (5 people) it would be quite cramped. Boris has been really kind allowing us to leave bags after check out time and really helpful. Vesna also very welcoming on arrival.